It is popularly said that the White House was built by enslaved people - is that true? Many enslaved people cut the stone that was laid for the construction of the White House. Construction of the elaborate presidential abode began in 1792 and was completed in 1800. The site was selected by President Washington who also oversaw the construction work. President John Adams was the first American President to move into the White house in 1800, but he did not occupy it for long before President Thomas Jefferson, who was elected into office in 1801, moved in. The design of the residence was engineered by James Hoban in Neoclassical taste which is greatly attributed to Palladio (the architectural style of the White House is sometimes referred to as Palladian). The colonnades on the wings were added by President Thomas Jefferson after he moved into the house in 1801. They were designed by Benjamin Henry Latrobe. The West Wing was built in 1901, while the Oval Office was created in 1909. The current East Wing was added in 1942. 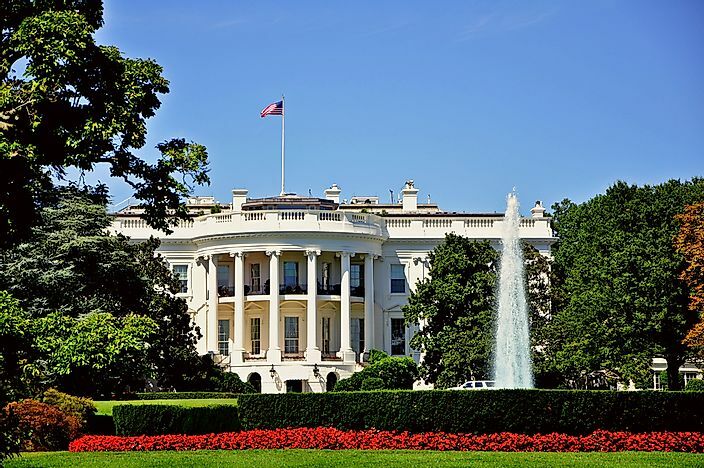 In 2007, the White House was listed as the second favourite architecture in America by the country’s Institute of Architects. The cornerstone was laid on 13th October 1972. The foundation and the main residence were mainly built by enslaved people of African origin. Slave ownership was popular at the time in America, and those owning slaves received a pay out for the work of those enslaved. A number of free Americans, both black and white, were also involved in the construction of the White House. Immigrants from Europe were also involved. During construction, the construction of the White House was faced by a shortage of labour and materials. After completion, the house was five times smaller than the initially planned elaborate palace. By the time of its completion in 1800, the government had spent $232,371.83 on the project. The house was burned down by British troops in 1814 and only its outer walls remained. It was redesigned and reconstructed by both Latrobe and Hoban between 1815 and 1817. The portico on the south was built in 1824 while the north one was built in 1830. Both porticos were decorated by Italian artisans. Between 1949 and 1951, major renovations were done by President Truman, to reinforce the structure of the house at a cost of $5.7 million. The alterations made the house lose its historic beauty, but in 1961, it went through a major redecoration under First Lady Jacqueline Kennedy. The historic restoration was mainly inspired by French taste.